A Christian, writer and film buff. Synopsis: Her parents named her "Cursed", for that's what her people are: trapped in brutal slavery, toiling under the Izyphorn sun, forced to watch their infants die. The kaites gave her a new name: Raiballeon, Leader of a Revolt." 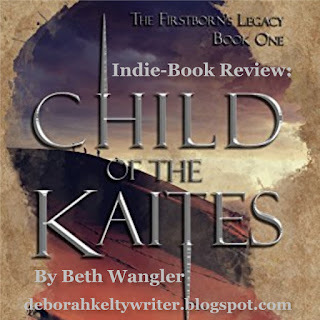 At ten, Rai thought that meant she would lead Maraiah to freedom. 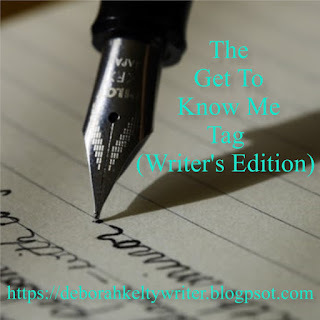 (Pen)Name: I'd usually stick with my own, though using a pen-name is a possibility. Nicknames: Usually it ranges from Deb, Debbie or Deborah. Also the word Zebra pops up sometimes as well. Birthday: February 28, 2002. Good thing it wasn't leap year that time, or I would've found it hard to remember when it comes along. Hair color & length: Very dark brown, although I've heard claims there's a little red in there also. 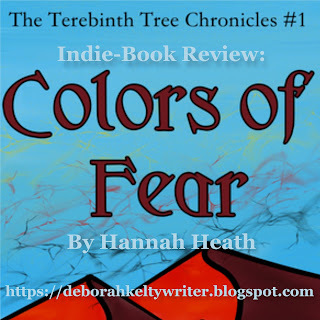 Colors of Fear is a short story, written by one of my favorite bloggers Hannah Heath, and is the first of a collection called The Terebinth Chronicles. They are a prequel to her Christian YA fantasy novel, The Stump of The Terebinth Tree, which is yet to be published. Hey, everyone. I'm a writer, and so far am currently during revision of a young adult (or tween) fantasy novel, first of a series called The Guardians of Aeron. This is counting also the fandom geek life, Pinterest and laughing at memes everyone either loves or hates. Hopes nature lasts till end of time and a whole lot of other good things! Follow My Blog For More Posts!